There are several Apps on the internet that can convert your computer or laptop to a Hotspot. Here is one of them that can convert your computer to a hotspot. 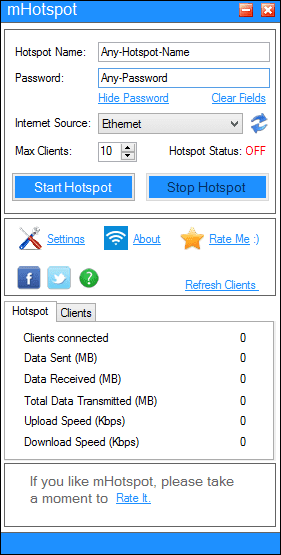 This app is called mHotspot and it is a completely free software which converts your windows 7 , 8 & 10 laptop into a virtual wifi router and creates a secure wifi hotspot.